Former Minister of Petroleum Resources, Diezani Alison-Madueke has been ordered by Federal High Court in Lagos to forfeit property on Banana Island, Lagos she bought for $37.5m in 2013. Justice Chuka Obiozor, a vacation judge, made the order yesterday following an ex parte application by Economic and Financial Crimes Commission (EFCC) counsel Mr. Anselem Ozioko. The EFCC, in documents filed in court, described the property as Building 3, Block B, Bella Vista Plot 1, Zone N, Federal Government Layout, Banana Island Foreshore Estate. It has 24 apartments, 18 flats and six penthouses. The court also ordered the temporary forfeiture of $2,740,197.96 and N84,537,840.70, said to be part of the rent collected on the property. The funds were said to have been found in a bank account. Ozioko had told the judge that the EFCC reasonably suspected that the property was acquired with proceeds of Alison-Madueke’s alleged unlawful activities. He said the EFCC’s investigation revealed that the former minister made the $37.5m payment for the property in cash, adding that the money was moved straight from her house in Abuja and paid into the seller’s account in Abuja. Ozioko added: “Nothing could be more suspicious than someone keeping such huge amounts in her apartment. Why was she doing that? To avoid attention. The application was filed pursuant to Section 17 of the Advance Fee Fraud and Other Related Offences Act, No. 14, 2006 and Section 44(2)(k) of the constitution. Listed as respondents in the application are Mrs Alison-Madueke, a legal practitioner, Afamefuna Nwokedi, and a company, Rusimpex Limited. In a 41-paragraph affidavit attached to the application, an EFCC investigative officer, Abdulrasheed Bawa, averred that Nwokedi, in connivance with Mrs Alison-Madueke, incorporated Rusimpex Limited, on September 11, 2013 to facilitate the alleged fraud scheme. According to Bawa, when Nwokedi was questioned by the EFCC, the lawyer explained that he had approached the former minister for opportunities in the oil and gas industry but the ex-minister told him that being a lawyer, she did not have any such opportunity for him. She allegedly asked him whether he could in the alternative manage landed properties, an offer which Nwokedi accepted. Bawa stated that Nwokedi registered Rusimpex Limited at the Corporate Affairs Commission (CAC). A lawyer in his law firm, Adetula Ayokunle, and a Russian, Vladmir Jourauleu, were listed as the directors of the company. The address of Nwokedi’s law firm in Ikoyi, Lagos was registered as the business address of Rusimpex Limited. The investigator added that when Ayokunle was questioned by the EFCC, he explained that he only signed the CAC documents on his boss’ instruction. Jourauleu denied knowledge of the firm. 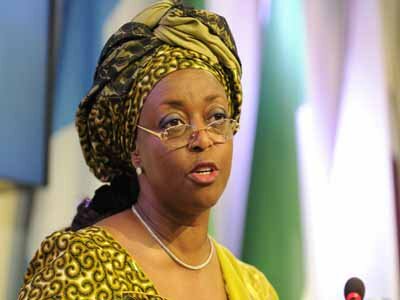 Bawa said: “Sometime in 2013, the former Minister of Petroleum Resources, Mrs. Diezani Alison-Madueke, invited Barrister Afamefuna Nwokedi, the Principal Counsel of Stillwaters Law Firm, to her house in Abuja for a meeting where she informed the said Barrister Afamefuna Nwokedi to incorporate a company and use same as a front to manage landed properties on her behalf without using her name in any of the incorporation documents. After listening to Ozioko, Justice Obiozor ordered temporary seizure of the property and the funds. Justice Obiozor adjourned the case till August 7 for anyone interested in the property and funds to appear before him.